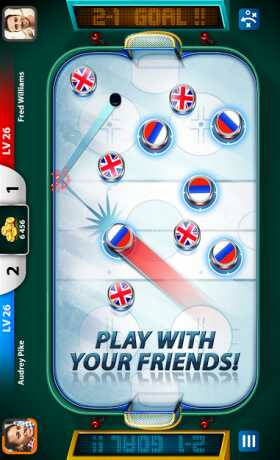 Hockey Stars is a game, where you face other players from all over the world. 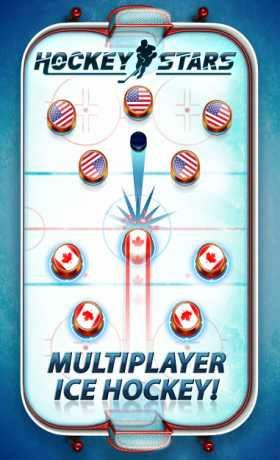 The world’s best multiplayer hockey game on mobile, from the creators of multiple smash-hit online sports games! Take to the ice and become a legend in HOCKEY STARS! Face-off against the world in 1v1 multiplayer matches: power your shots into the goal, or use close-control and precision aim to hit the back of the net! Play in different arenas for bigger prizes! Win tournaments, and unlock tons of teams with unique powers and styles. Let’s hit the ice and play Hockey Stars! It’s YOU vs THE WORLD! Play fast-paced matches and take your team up the global leaderboards to win big prizes! Only one can rule the rink! Challenge your friends and show them who’s the REAL hockey star! 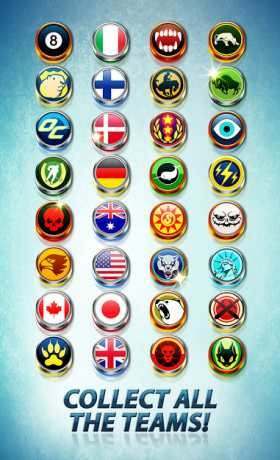 Represent your country or choose from a huge selection of teams, each with unique designs and powers. Pick your favourite! Unlock new formations to boost your game! Play with your friends (and beat them)! 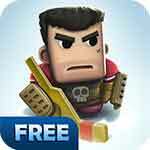 Take on players from around the world (and beat them too)!